Simple, healthy and delicious. Chinese noodle soups are always so fullfilling for my belly and my soul. The chef loves them because well, he’s chinese so it’s in his blood. We crave these soups if I haven’t had them for a while. I don’t follow a recipe and every single time I make one of these soups they are so different. 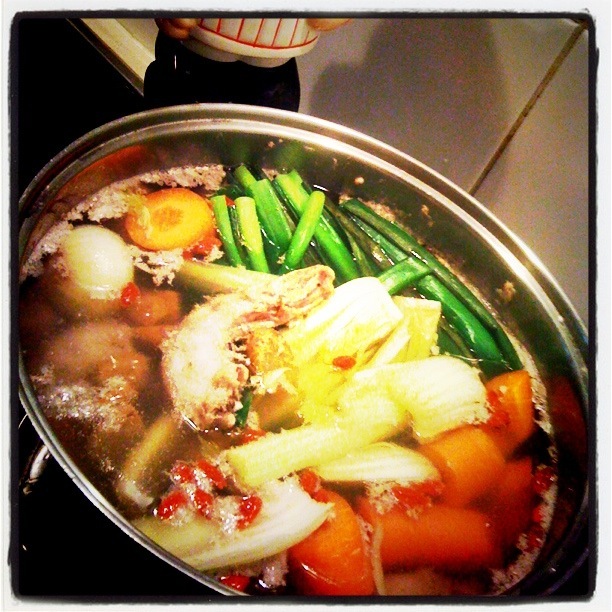 I base the soup on what meat is available, on sale etc and the vegetables that go in the soup follow the same premise. I often use soups like this as a way to finish off half a soggy shallot and that left over head of broccoli that is looking a bit sad in the bottom of the fridge. This recipe is so versatile. You could use the ingredients and methods for the meat mixture to make won tons, asian style kebabs for the bbq or even rissoles on the grill. I’ll give you a guide to follow, but promise that you’ll experiment to discover your very own special version! 2 cups chicken or veg stock per person. We always have Massel stock powder in the pantry as it’s easy and readily on hand. You can follow our recipe here for your very own homemade chinese soup stock which is super east, delicious and nutritious. 1 tsp finely chopped garlic. Pepare the meat mixture: Place mince in a large bowl with the soy sauce, shallot and chopped garlic and ginger. Using a spoon, or your hands mix the mixture together. Set aside. You can prepare this the day before, or make a double batch to use tomorrow night for dinner. Cook the noodles: Bring a large pot of water to the boil. Cook the noodles according to instructions on the packet. When cooked drain and drizzle with a small amount of olive oil. Work the oil through the noodles. This prevents the noodles from sticking. Set the noodles aside for later. Cook the dumplings: Place the stock, roughly chopped ginger and garlic in the pot you used to cook the noodles and bring to a low simmer (medium heat). Using a teaspoon, take a spoonful of the chicken mince mixture and gently lower into the stock. Repeat for the desired number of dumplings you wish to serve. Work as fast as you can so that all the dumplings receive the same amount of cooking time. If using broccoli, add this now as it is thicker and requires longer cooking time. Cook the dumplings for 3 minutes. Turn off the heat and leave the dumplings in the stock for a further 2 minutes to cook through. If using bok Choy add this now as this is thinner and requires less cooking time. Take a handful of noodles and lay them in a bowl. Spoon the hot stock and dumpling mixture over the noodles. We like to eat the pieces of ginger and garlic but you can remove if you wish. Garnish with thinly sliced shallot. 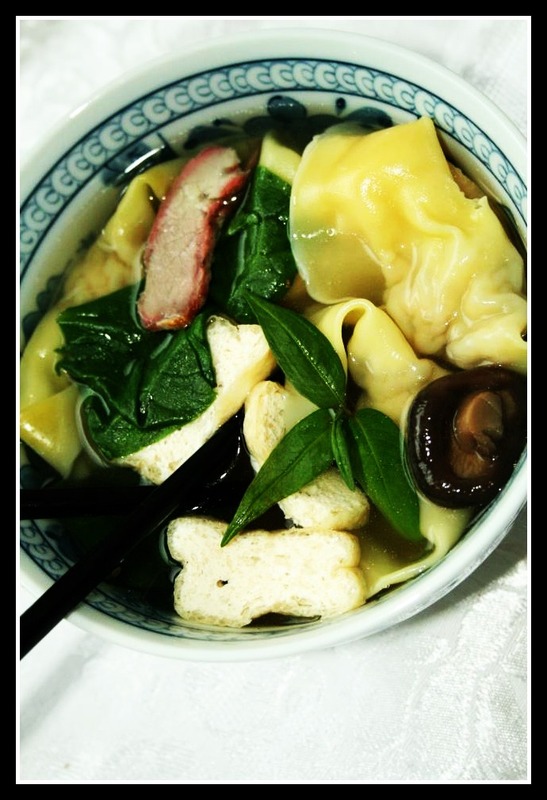 Oh look, our won ton soup. Would you like the recipe?